Some familiar faces to fans in the United States will be debuting for New Japan Pro Wrestling as part of this year's World Tag League tour. NJPW announced that Jeff Cobb, Chuck Taylor, and Sami Callihan would all be debuting in the tournament. Cobb, who was originally scheduled to team with Matt Riddle before plans changed, will partner with Michael Elgin, Taylor will be paired with usual partner Trent Barreta, and Callihan will team with Juice Robinson. In a change from recent years, wrestlers who already have matches announced for Wrestle Kingdom 12 (including top stars like Kazuchika Okada, Tetsuya Naito, Hiroshi Tanahashi, and Kenny Omega) won't be participating in World Tag League. Whichever team wins will likely challenge for the IWGP Tag Team Championship at Wrestle Kingdom on January 4th. Killer Elite Squad, the team that currently holds the titles, will also be in the tournament. 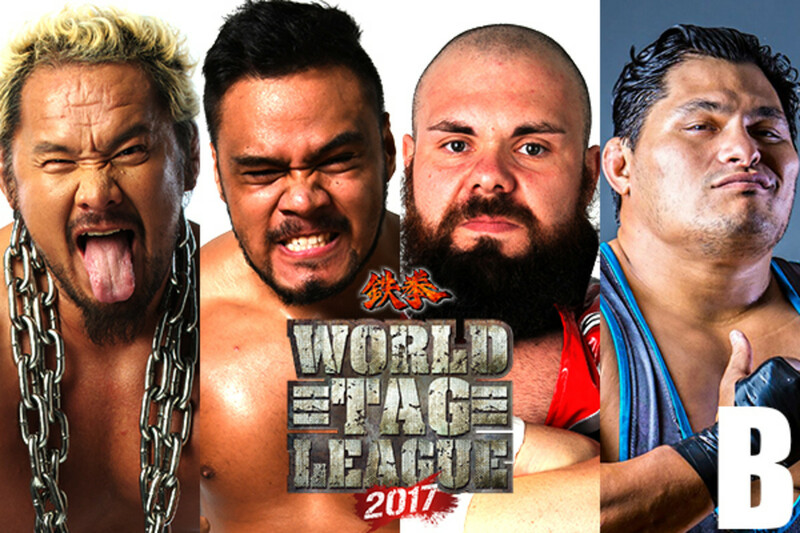 World Tag League 2017 begins on November 18th in Tokyo. The finals will take place on December 11th in Fukuoka, with the winners of the A Block facing the winners of the B Block. Here's the full list of teams for the tournament.